Although it performs well overall, a few key features are missing: It lacks manual controls, it omits a burst-shooting mode, and it doesn't shoot the sharpest photos in low light. All in all, however, the EX-H20G offers a lot more to like than to complain about, and its battery life and its in-camera GPS features are among the best we've seen to date. At 1.13 inches deep, 4.0 inches wide, and 2.7 inches high, the Exilim EX-H20G is a bit bigger than your average pocket camera. It's still small enough for roomier coat pockets or cargo pants, though. The camera has a 14-megapixel CCD sensor (sized at 1/2.3 inches) behind its 10X-optical-zoom lens, which reaches from a very wide-angle 24mm to a telephoto end of 240mm. An additional 5X digital zoom is available beyond the telephoto end of the zoom range, but image quality gets downright rough once you dip into the digital zoom. Maximum aperture settings range from F3.2 at the wide-angle end to F5.7 at the telephoto end, but the lack of manual controls and an aperture-priority mode means that you don't have direct control over its width. Shutter speeds are variable only through use of the camera's extensive array of scene modes; scene options such as Soft Flowing Water, and Fireworks, for example, use slower shutter speeds, while modes such as Pets, and Sports use faster ones. Like most point-and-shoot cameras these days, the EX-H20G has no optical viewfinder. A 3-inch LCD on the back of the camera serves as your only viewfinder, but it generally does a good job of staying visible in most lighting conditions. Due to the absence of manual options, the camera's controls are simple and straightforward. On the back of the camera is a dedicated video record button, a dedicated Auto mode button, a playback button, a Menu button, and a BS button that takes you to the camera's Best Shot menu of scene-mode offerings. A round directional control pad surrounds a selector button for navigating in-camera menus. On the top of the camera are the on/off button, the shutter release surrounded by a zoom control, and the camera's slightly protruding GPS antenna. Two more buttons on the top provide quick access to the camera's mapping and GPS features: One button, which has a graphic of a Fisher-Price-like person, centers the camera's map on your current location. The other button, which has a globe-like icon, displays the shots you've taken on a map interface (as well as the route you've traveled with your camera in hand). Although you can't set the aperture and shutter speeds directly, the Exilim EX-H20G goes a long way toward making up for that with 28 different scene modes (which Casio dubs Best Shot selections in the camera's menus). In addition to the usual cast of characters, such as Sunset, Night Portrait, and Fireworks modes, a few unique modes join the mix. You get a Slide Panorama mode, which lets you take a 360-degree panoramic shot simply by pressing the shutter and panning the camera horizontally; Soft Flowing Water, which uses a slow shutter speed to soften up images of moving water; an Autumn Leaves mode, which boosts red hues and enhances contrast; and self-portrait modes for one or two people. The camera also provides details about what each scene option does to the in-camera settings, which is a nice touch. In addition, you get a handy selection of color filters that you can overlay on your shots as you take them, a lot like working with flash gels. The craziest feature by far is the camera's Dynamic Photo setting, which lets you overlay animated animals, text, or other cartoony graphics over your images. You can overlay animations and preview them right in the camera, and Casio offers a Dynamic Photo Manager as a free (but separate) download that lets you create animated GIFs or movies from your creations on your computer. Click the image at right to see the kind of madcap hijinks Dynamic Photo is capable of. A few focusing options are in the mix, but notable performance issues affect some of them. The EX-H20G's autofocus generally performs well, and a motion-tracking autofocus mode is available to help keep fast-moving objects in sharp view. However, the camera's macro capabilities are mediocre at best (you can get only about 4 inches from a subject without producing a blurry shot) and its manual focus needs a bit of work, as well. While using manual focus, we found it hard to get a crisp shot of close-up subjects, and we could really hear its inner gears churning while we were manually focusing the camera. The Exilim EX-H20G shoots 720p video at 30 frames per second (as well as standard-definition 640-by-480-pixel video at 30 fps), and an HDMI-out port is available on the side of the camera for viewing clips on an HDTV. Unfortunately, you can't use the camera's optical zoom while filming; the zoom is digital-only in video mode, and you see a definite downgrade in video quality if you use that zoom while filming. As long as you're shooting in daylight or other well-lit situations, the camera's Auto mode does an admirable job of capturing crisp, colorful images and video. The Exilim EX-H20G performed well across the board in our lab's subjective tests for image and video quality, earning an overall performance score that rivaled those of high-end point-and-shoot cameras such as the Canon PowerShot S95 ( ) and the Nikon Coolpix P7000 ( ). The EX-H20G earned scores of Very Good for each of our imaging categories (exposure quality, color accuracy, sharpness, and lack of distortion), and the camera received a score of Good for video quality and audio quality. Battery life is outstanding (and that's an understatement). The Exilim EX-H20G's rechargeable lithium ion battery has a rating of 600 shots per charge with the camera's GPS functionality turned off, and 480 shots with GPS turned on. Most cameras in its class are rated for 300 to 400 shots per charge, so the EX-H20G's level of energy efficiency is truly rare. Click the thumbnails at left to see the full-size test shots that the lab used in subjective tests for exposure quality, color accuracy, sharpness, and lack of distortion. 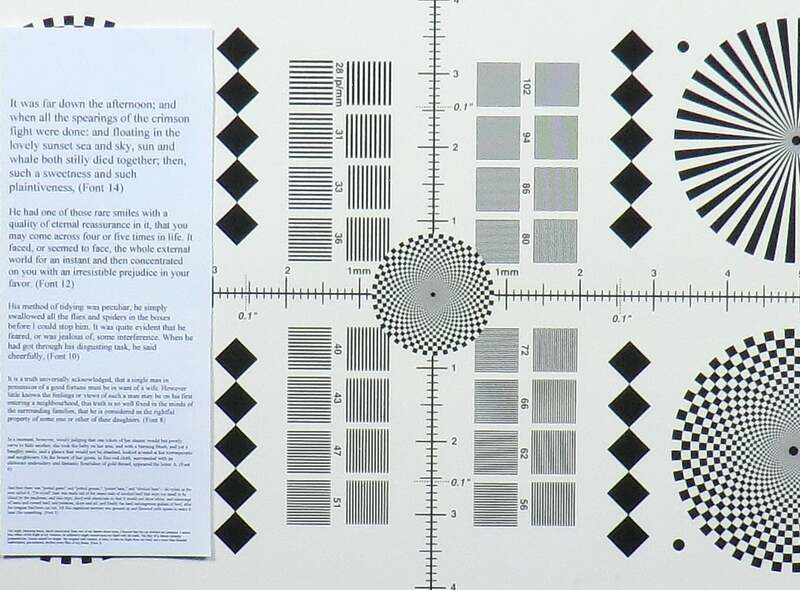 You can view the sample clips that the lab used in subjective tests for bright-light video and low-light video below. Select 720p from the drop-down menu in the lower-right corner of each player for the highest-resolution video clips. 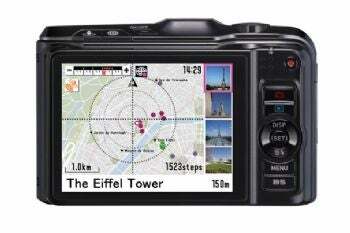 The EX-H20G also has some of the best in-camera GPS features we've ever seen, thanks to its intuitive map interface, points-of-interest database, real-world location names (not just raw latitude and longitude data), and easy integration with the mapping services in Flickr, Google Earth, and Picasa. Establishing a GPS connection for the first time requires being outside with a clear view of the sky, and linking up to the satellites takes about 2 to 3 minutes for the initial connection. After that, it's smooth sailing, and the camera's internal autonomic positioning system can log your travels from there, even while you're indoors. Pressing the globe-icon button on the top of the camera brings up the map interface, while pressing the person-icon button centers the map on your current location; the latter feature performed quickly and accurately during my hands-on tests, with a margin of error of about one city block. When you're taking a photo with the GPS feature powered on, the LCD shows the names of nearby points of interest on the map. If you turn on 'Place Stamp' in the camera menu, you also see a drop-down menu at the bottom of the display that lets you overlay the name of each location in the bottom-right corner of each photo. Around the Macworld offices in San Francisco's South of Market district, the camera listed many appropriate points of interest (South Park, AT&T Park, China Basin, Hills Plaza).